Fees associated with filing trademark applications in Argentina, as well as other trademark fees, are available in the fee calculator. Argentina only accepts single-class trademark applications. The official language of the trademark application in Argentina is Spanish. - specification of goods or services. In Argentina, the original of the Priority Document is not required, but the sworn translation into Spanish must be provided within 3 months from the filing date. However, the original of the priority document may be requested by the Office. The original Power of Attorney, notarized and legalised by apostille or by Argentine Consul, must be provided within 40 business days from filing trademark application in Argentina. The application will undergo both formal and substantive examinations, substantive examination includes a search for conflicting marks and distinctiveness examination. After the examination, an application is published in the Bulletin for opposition. The opposition period for the Argentine trademark application is 3 months as of the INPI notification of opposition. The term of a registered trademark in Argentina is ten years from the date of registration, renewable an unlimited number of times every ten years. A renewal application should be filed within 60 days before the expiration date. 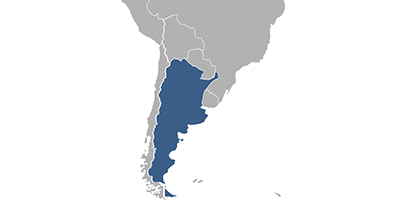 In addition, the applicant must submit a Sworn Declaration of Use stating that the mark has been used in Argentina within the five-year period preceding the expiration date. The processing time from first filing to registration is approximately 18 months in the case of a smooth registration procedure. The validity of a registered trademark in Argentina may be cancelled if it is shown that the trademark has not been used for five consecutive years after its registration. Furthermore, a sworn declaration of use should be provided between the 5th and 6th anniversary of registration. For foreign applicants, it is necessary to perform trademark prosecution in Argentina through an agent, a registered Argentine trademark attorney. Online Database for Argentine Trademarks Search.